Short story: we bought a bedroom rug! So we knew that our new bedroom would call for at least an 8 x 10. Just to be sure we taped things out on the floor with painters tape (such a good way to visualize rug size before pulling the trigger and buying anything) and agreed that an 8 x 10′ would indeed do the trick. We’re actually planning to place it horizontally under the bed, but we’ll explain more about that in our next post. But back to the rug hunt. With our sights set on a size, the discussion then turned to what type of rug we wanted. We’re huge fans of natural materials when it comes to rugs (which don’t stink/off-gas, and are naturally durable and usually pretty easy to keep clean). So we pretty quickly narrowed things down to two options: a big white shaggy wool rug (kinda like a giant faux sheepskin) or a nice natural jute rug (of the softer braided varieties). And after a lot of staring at the bedroom and squinting, we decided that both for easy-care and design reasons we were really excited to go for something jute. We had a bunch of them in our last house (still have the big one that was under our bed in our current sunroom and the two that used to live in the old kitchen and third bedroom stacked at the foot of our bed looking too small). We’re fans. 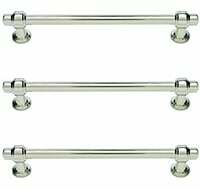 They’re so durable and easy to keep clean (even with a dog and a baby). We just shake them out or vacuum every once in a while, and their coloring and natural fibers just seem to hide dirt and even repel stains, thanks to the straw-like material. Plus jute is notoriously hundreds of dollars cheaper than wool. And you know that kind of thing is definitely a factor for us. And the more we thought about it, the idea of a big white shaggy wool rug sounded nice and plush underfoot, but we worried about stains (anything white that can’t be tossed into the washing machine makes us nervous) and we also thought since Ed the Bed is white that he might pop more when resting on a not-white rug. Why didn’t we consider something bolder or more patterned? With our loud-ish duvet and a few other not-necessarily-safe choices (like our giant dandelion-ish pendant light, our greeny-yellow curtain panels, and our graphic four-poster-bed) we wanted to allow things like that to be the star, while the rug fell back and worked as a “best supporting actor” of sorts. After a lot of deliberation we decided that we were most enamored with the subtle tone-on-tone diamond pattern of the PB one. And it didn’t hurt that the price was the lowest one (although with pricier shipping than Overstock, it pretty much made them even when it came to overall cost). Easy enough right? Decision made. But then I realized that we have a Pottery Barn in town (not true for West Elm or Overstock) so I called to see if we could pick it up in the store to save shipping (or get it shipped to the store by the site to save that loot). But annoyingly enough it was only listed for that clearance price online and was $249 in stores (still on sale, but not by as much). So there was no way around that shipping fee if wanted the $199 price. Boo. We decided that in order to save $25 bucks we should just go ahead and order it online (even with the $25 delivery surcharge it came out to $224 and not $249 like the store pick-up price) and that way it would come right to our door instead of having to borrow a bigger car to go get it. But when I got to “online checkout” I saw that unlike buying it at the store, it couldn’t be returned if the color was totally different than what we expected. Which admittedly could be mostly remedied by checking one out in the PB store near us before ordering, but sometimes different “batches” have varied coloring. Whaaaa? It’s early March. I’ve heard of three weeks of waiting, but three months? That’s a quarter of a year. I’ll probably have at least ten more gray hairs by then. And Clara could be walking. And Burger will be at least 2 dog years older. Plus they had them in stock at the PB store near us (we called and they actually had two). And those are 100% returnable. And there wouldn’t be any shipping costs. Or waiting 3+ months for it. So we decided that paying $25 more was worth the instant gratification, borrowed John’s sister’s SUV, and drove out to Pottery Barn to make it ours for $249. No shipping and no waiting required. It still felt like a darn good price for a giant 8 x 10 rug, especially considering the original price was upwards of 300 and it has that cool subtle diamond pattern going on that makes it feel a lot more special than the average jute rug. Now it’s home, half rolled out on the floor. And it’s so soft! Approximately 50 times softer than the one that we used to have in the bedroom. Woot. We also think it all went down the way it was supposed to because we questioned whether the Overstock rug was too orange (you can never tell if it’s their pics or not) or if the West Elm one was too cool looking (it almost looked painted in the pictures) and the PB one is juuust right with our warm wide plank floors now that we’ve got it home. Pics to come! We had the same problem with our bedroom furniture from PB… said it would be available to ship by October1 , but never made it to us until mid-November. We spent our first month of marriage sleeping in a mattress on the floor and without dressers! Oh, well.. early marriage memories, right? I do love the rug, can’t wait to see it in the room. Oh man that stinks! So glad it finally arrived and you’re no longer on the floor. Haha. 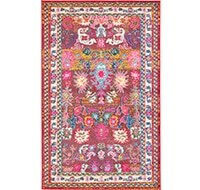 When I looked for a rug like this last Fall for my new living room, I actually went to the various stores and walked around barefoot on the natural fiber rugs to make sure they were soft enough! I hate the rough ones that make my feet hurt. I finally settled on one from Crate and Barrel but had to wait a couple of months for it. I love it though. Oh, can’t wait to see pics, they add such a nice layer of texture to a room! And good to know that the PB woven rugs are soft, sometimes they can be so scratchy! We just bought one (http://alifemoresouthern.wordpress.com/2011/01/24/bad-news-good-news-and-better-news/) from Ballard Designs that we love but it doesn’t have any fun pattern. Pretty! I like the fringe. I hate to be picky but my inner editor asked me to tell you there is a typo! “But then I realized that we have a Pottern Barn in town” – Pottern should by Pottery. I love the rug (and your blog!!) though. You are the ones that turned me into a blog fanatic!! Nice catch. Off to fix it! I had a typo in my post, too!! “By” should be “be”!! Haha, I didn’t even notice! My eye skips right over those things. Hence my typos. Haha. Pottery Barn has been out of stock on SO many things recently – it’s driving me nuts. Glad you were able to find it in the store…now if only they carried the right length of curtains I needed at our local store! We have a natural jute rug- the round one from Pottery Barn and it leaves dirt all over the floor, under the rug. Also it is falling apart- coming undone. DOES ANYONE else have this problem with a natural jute rug? Does anyone have advice or info for Amy? We had that issue with one we got from Lowe’s but not from the ones we got at The Company Store or World Market. It probably varies by product. Also, maybe braided ones differ from woven ones? Maybe how they’re “put together” effects that stuff? I feel so impatient! Like the outcome of my day depends on seeing your rug in its new home! 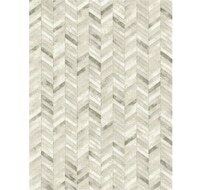 I love natural fiber rugs, I bought two last month off of overstock. I wasn’t planning on getting two, but when the first one came, the 8×10 size was too big for my dining room but I kept it , put it in my bedroom and bought a 6×9 sisal rug that I am absolutely in LOVE with and fits the space PERFECTLY! I have a question for you though, what do you guys do about rug pads? I only have non slips under certain rugs. Am I foolish to not have any padding under the other wool type rugs? We only use rug pads when we need them to keep things in place (and have picked up most of them at Target, Home Depot, or Lowe’s). Usually we don’t need them in the bedroom though (thanks to almost the whole bed sitting on them and holding them in place). Hope it helps! Savings tip for non slip pads under smaller rugs…you can usually find the exact same type of material MUCH CHEAPER in the kitchen area as rolled up shelf pad/liner. They probably even have it at the dollar store. We just got that a month or so ago for our dining room. I love it! Of course, with a 9 month old who is now eating things like spaghetti and roast beets, it is currently covered in a clear shower curtain so the elegance is a bit lost but eventually, its full glory will shine again. Haha, that’s actually a really smart solution for anyone with a 9 month old eating spaghetti on their new rug! Love it. This may sound like a backhanded compliment, but I just want to commend you guys for “keeping it real”. There was a while there where I was green with envy, as everything seemed to work out perfectly for y’all in the clearance/perfect fit/etc. department (A $200 washer dryer set?????) 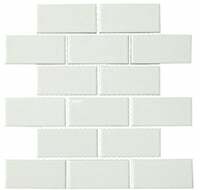 and even though I knew it wasn’t all peaches and cream, I was trying to DIY my home and it was a LOT more expensive and I had a lot more missteps. But your last few posts about projects and purchases that perhaps did not work out or when it’s okay to pick the more expensive rug to really get the one you want — it makes me feel like I’m on track with my projects, and that YHL doesn’t exist in a magical “everything always works out perfectly” world. That being said, I hope you find awesome $25 parsons chairs eventually! Haha, it’s definitely not all rainbows and unicorns over here! 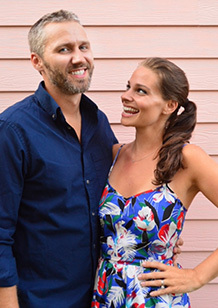 We actually like sharing our flukes and our missteps (sometimes the most of all) since the most common misconception about us is that we’re big experts or some sort of magical family that never has problems. I promise we’re so normal it’s crazy. And sometimes things don’t go as planned. Stuff goes wrong all the time! Good choice. I bet it’s the best quality of all the ones you looked at. We had a west elm jute rug and in my opinion it wasn’t soft and fell apart too quickly (albeit our gargantuan dog took a toll on it). It was pretty though! Amazing. She should totally be Dannie! Or Dandy. Haha. Awesome! Maybe I’ll have to call them and ask one more time! Fingers crossed. I have that exact rug. It is super comfy on your feet. Have had it for about 2 years and with dogs and two kids it still is in great shape. It does shed dust bunnies though. My only complaint! Enjoy! Wahoo! So glad kids and dogs haven’t killed it after two years! Love the PB rug! So sad it is already not available online. What are you guys planning to do with your “Clara” rug? 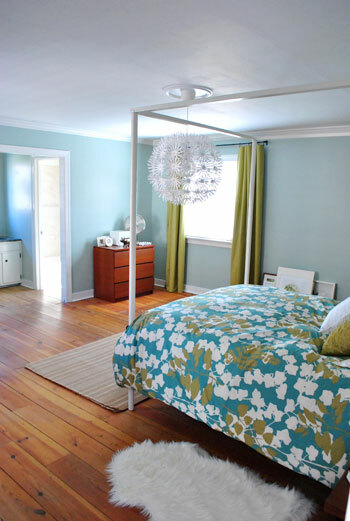 Will you try to incorporate it into one of your rooms or do you plan to sell it? That’s in our playroom right now but who knows where it’ll end up. We’d love to work with it so we’ll have to see where it lands! Quick side note… Do you know that “maskros” (the name of your lamp) acctually mean dandelion in swedish? We just learned that last week. Isn’t that sweet? Made us love our new light even more! Do you feel like jute rugs are soft enough for baby knees? I have an 8 month old and we so want a jute rug in the living room, but I’m torn. PB is killing me with their wait times; we ordered a slip cover for our couch from them this week and I was doing a happy dance because it was 20% off, but then it said “this item will ship after JULY 5, 2011.” Argh. Wow- July 5th takes the cake! Here’s hoping it comes in sooner. As for the rug, it’s really soft. Maybe not for marathon crawling sessions in just a onesie (could rub the knees after a while) but for 20 minute play sessions in pants? Totally. Maybe try going to the store to feel it for yourself? They have smaller sizes on the floor so you can just duck in and “pet it” and leave. Haha. Good luck! I love ur first bedroom so much I actually saved a (well ok, two) picture in my computer and gaze at it almost everyday. We are in the middle of moving, updating, renoing (that’s probobly not a word)I also have a 18 month old toddler (girl) and expecting number 2 (also girl) in about 8 wks (AAAAAHHHH!!) with everything bn so hectic n never ever having finished our bedroom in our first home I really want a soothing retreat at the end of the day or any time of the day that I can sneak in the bedroom for a nap or whatever. I’m really happy slowly (like ur new bedroom) but surely getting there. Don’t worry it wont be a replica of ur old one, my colors are actually deeper gray walls, whites (alot), dark woods, rusty oranges. But for some reason ur ex-bedroom is my inspiration. 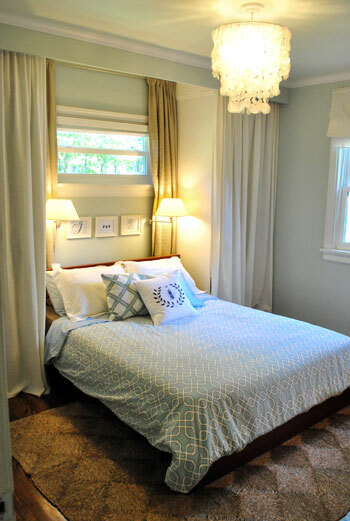 Oh my bedroom is 11×12 I used a creamy plush nylon wall to wall carpet. Maybe when I’m done I’ll send u guys a pic so u can see our hard work. Thanks for bn our inspiration. P.S. (Sorry I’m also a talker) My daughter enjoyed Clara’s video so much I had to replay it like 7 times for her. God bless her she’s a cutie. We’d love to see a picture for sure! Good luck with everything – the room and the little one! Do you have any other suggestions on where to find a rug? We have been looking for one for our living room for almost 2 years now! I have only been stalking PB, Restoration Hardware, Crate & Barrel etc. Where else would you suggest? We want something really SOFT for our feet and simple but with a bit of a design. Thoughts? Maybe try overstock and West Elm like we did? Or even try searching on nextag.com (which will spider serveral sites for you)? You could also try thecompanystore.com or garnethill.com or even target.com or walmart.com. Hope it helps! If you want something simple you could always go pick out a carpet or berber and have it bound to the size you need at any carpet supply store. Usually they can have it ready as quickly as 48 hours and you don’t have to pay shipping! I love these rugs. I’ve been debating getting the same PB jute rug for our living room, but I was never sure if it was soft enough for the padded feet of my toddler and soon-to-be crawling baby. What do you guys think–scuffed knees or no? This one is softer than many others we’ve seen or owned. I would say Clara could crawl around on it for 20 minutes with pants on, but I wouldn’t let her crawl for a marathon session like three hours with bare knees- just because they might get red. Definitely head over to PB if you have a chance to “meet” your rug in person if you can! You actually saved $46 dollars on shipping from PB… The $25 is on top of the $21 to ship $199 worth of stuff. Yay, you guys! It didn’t have any online reviews but you can read many of them here in this post (so far many people have said they love it- one person even has multiple kiddos and dogs and it has lasted over 2 years and is still going strong) but a few people do mention shedding. So far we have no issue with that, but we plan to just vacuum regularly (which we always do with jute rugs – and wool rugs – for that matter). I’ll keep you guys posted if we hate it in a month though! We’d love to try that! We’ll have to find a local vendor and have some fun! Jeter’s over off Azalea Ave in Northside used to have a remnant room. Years ago, The Dump also sold remnants, not sure if they still do or not. Thanks so much! Good to know! Congrats! It’s really cool to see the two bedrooms side by side-ish. Amazing how easily you’ve transitioned to a totally different style so well!! I’m already identifying you by the new house style. 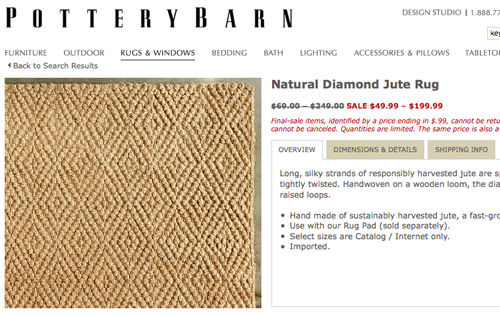 Ugh, I just went to Pottery Barn’s website to BUY that rug for my dining room, but it’s sold out! I’ll have to check my nearest PB when I am in the area tomorrow :-) Great choice, can’t wait to see what it looks like in the room! I am going to be interested to see how this holds up. I have a jute rug from pb, that I bought partly due to its softness, and after a couple of years it just started falling apart for no aparent reason (low traffic, nothing bad has ever happened to it, etc). It even crossed my mind that it might be infested with some sort of bug, but close inspection quickly (thankfully!) but that notion to rest. I still love the rug and it now resides under our dining room table since it is already in such rough shape. We bought that West Elm rug about nine months ago, and it’s already completely frayed. We followed the care instructions perfectly, too – such a waste. I am snickering over here because I need 2 rugs and those 3 are what I narrowed it down to. Glad to know the PB rug was soft! We potty trained a dog with three jute rugs. They’re king when it comes to stains (they basically repel them thanks to the straw-like fibers so everything seems to lift right out). As for roughness, that definitely varies from rug to rug (we’ve seen crunchy gross ones and amazingly soft ones- “braided jute” tends to be a bit softer). 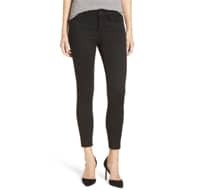 We would say that Clara could crawl around for 20 minutes in pants on it, but we wouldn’t encourage her to crawl around on it for three hours with bar knees since they might get kinda red. Definitely try to get down to PB to see something in person (or whatever store you’re debating) if you can- or make sure there’s a good return policy just in case you order online! I like the rug…good call picking it up in the store. I think you would have ended up paying though if you had ordered it online. I have ordered from PB before and the delivery surchage is in addition to the shipping charge so the price of the rug plus delivery surcharge that you had calculated didnt include the regular shipping charges you would have gotten added on at the end of checkout…tricky but boo! We just recently fell in love with the braided chenille jute rug and found one for a super deal at one of their outlets. Luckily we live within 90 mins of TWO PB outlets!! Anyway we put ours in the basement on our new floors and so far I am really impressed…suprisingly soft. One of our little doggies even *ahem* christened it this past weekend and it cleaned up really well! Someone else mentioned that too! So tricky! They said it was $21 on top of the $25 shipping fee for an order of $199. So crazy! Now I have to tell you how INSANELY JEALOUS I am that you live near two PB outlets. That’s my idea of heaven. Great choice on the jute! We actually have the West Elm rug in flax in our living room and so far I absolutely love it. We have two kitties with some serious hairball problems, ewww, and this rug is holding up very nicely. Not sure if the miracle is the rug or the powder rug cleaner we’ve been using. It’s called Capture. You may already know about it, but if you don’t by all means get some. It totally works and most importantly to us it’s safe for pets (and kids) which is a big concern in our house. At first I did notice it made the stained spots a little lighter, but they seemed to have evened out since the accidents happened and now they are not at all noticeable. Of course if you try it, test it first. Hi guys- Love the blog. I’ve been a fan for a while. I hate to post this but I think its important for your fans who love the look of the rug and are thinking about buying it. I purchased the same rug about a year ago and it is in our living room which gets a ton of traffic. It does not hold up well at all! The diamond pattern fades over time and traffic pushes down the raised strands. It was very soft at first but it loses that feeling quickly. I still love the look of it but I thought your fans should know. Thanks so much for sharing your experience! 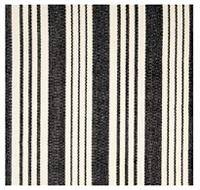 It seems like many people who already have this rug have had different experiences (so far two people haven’t loved it and I think four others have – one of whom has multiple kids and dogs and has had the rug for 2+ years). It definitely helps to hear reviews on both sides and we’ll keep everyone posted as to how ours holds up for sure! Question – any suggestions on buying rugs bigger than 8×10? I know that’s a standard size. However, we have all hardwods on our 1st floor and I really want a rug in the living room. It makes it feel warmer, more cozy, and is nice for us to play on with our son. We currenly have a 8×10 rug in there, but in my opinion it is too small. It more or less sits in the middle of the room with our couches at the perimter of the room. It just feels odd to me. I have thought about buying carpet from Lowes, etc and having it bound. What are your thoughts? Oh yeah that’s a great option! Places like PB and West Elm and Crate & Barrel and Overstock also sell rugs that are 9 x 12 or even bigger so you might want to peruse them as well! Good luck! I noticed your question and have to say your idea of binding carpet is a great one! We found some awesome carpet (in a wheat color with slightly shaggy texture) in the remnant room of a flooring store and had the edges bound. We ended up with a 9×12 area rug for around $300. Not bad at all! I recommend checking a carpet store for large leftovers/remnants before you order brand new carpet (you’d be more likely to score a good deal) and I definitely would not go any smaller than 9×12. Great choice! I have that same rug in my dining room. I fortunately had a giftcard, but even without it I think it’s a good value since I comparison-shopped for a looonnnng time before buying it. And I agree that it’s soft on the feet, a little surprisingly so. And my dog loves to rub his face all over it too. We actually have that same rug in our dining room. We purchased it in August and it’s not holding up well at all. Lots of pulls. I know I can probably tweak a little bit to make it look better, but I expected better quality from PB. Hopefully for you, I just got a bad one:). Can’t wait to see it in your room. I love the pattern!! Not being able to return it would have been the dealbreaker for me. And having to wait 3 months? ?… That would have been the nail in the coffin. $25 was totally worth it. I can’t wait to see photos! We have four. And they’re definitely nomadic. They move all the time! Right now two are in the bedroom, one is on the ottoman in the nursery, and one is on the ottoman in the living room. We also like using them as a christmas tree skirt in the winter. I can hardly wait for the pictures!! 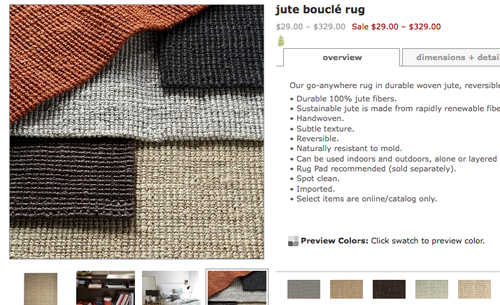 I’d like to check out some jute rugs in person. I’m wondering about the softness. 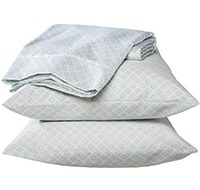 Are they a good softness for under a bed or dining room table but not soft enough for being in a wide open space where kids will be on the floor like a nursery or kid’s bedroom? What about a living room? Could you imagine one in your living room with Clara crawling on it? Thanks for any insight! We had a braided one in our old den and loved it! I would describe them (well they vary, but our new one) as soft enough for a baby to crawl around on for 20 minutes with pants on. But not three hours with no pants (might make the knees red at marathon lengths without anything between the knee and the carpet- haha). Definitely check them out in person to see what you think! Ooo, can’t wait to see the pictures! How exciting for you guys. I totally wouldn’t have wanted to wait that long either. Definitely worth the extra $25! 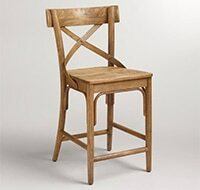 I believe that Ideeli is selling your green Parson chair for the dining room — at $87/chair — today. Thanks for the heads up! We’ve heard they’re actually more olive green than kiwi or apple green so we’re gonna hold out for more bold green ones. Hopefully someday we’ll find them! Rug a over me. It’s the worst!!!! Constant vacuuming and sweeping do nothing, after a year it’s so threadbare I can see the rug pad! Looks great but falls capart!!!! Seriously a horrible carpet. 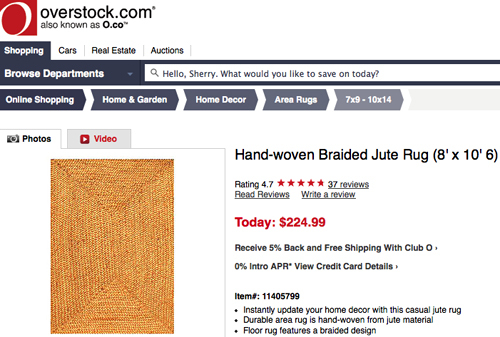 I actually bought a very similar jute rug a while back from Overstock. It’s color was way too golden-y and it shed like crazy. Our pastor commented that it looked like it was braided out of human hair… I think you made the right choice by going with the PB rug! We messed up a few times in our upstairs remodel. I SWEAR there is a cable plug in behind the new drywall but nothing was cut out. But we don’t want to cut anything into the nicely painted drywall, so I’ll just keep quiet. We also forgot to put a phone jack upstairs (never thinking we’d own a phone but we switched over to DSL). There are more, obviously, as we are redoing our whole house. We missed the rebate date for $300 by 8 days. I was PISSED on that one! I am unfamiliar with jute- is it practical? Does it vacuum well?? Yup, just a quick vacuum every once in a while does the trick (you can also shake it out outside, like I do with small jute doormats). Hi guys, I wanted to give you a little warning. My husband and I bought this exact rug for our bedroom a couple of months ago, and it shed like crazy. I recommend a very thick and sticky carpet pad and lots of frequent vacuuming. It might not hurt to hold on to the receipt. I love the way it looks, but its probably not a rug you want Clara pulling chunks out of and putting in her mouth. Hope you guys don’t have the same trouble! Thanks so much for the heads up! It’s interesting to hear from everyone who owns it about their varying experiences! We’ll definitely vacuum it regularly (we do that with all our other wool and jute rugs as well) and we’ll hare how it holds up over time for sure! We moved to WI from Richmond 18 months ago. I thought that there was a West Elm at Short Pump? Did it close? Yes, it sadly closed about a year ago. Sniffle. I love your choice! I’d like a smaller version for under our dining table, but my husband thinks a rug under the table is gross because of crumbs, baby vomit, etc. We’re in an apartment, so there’s no place to shake a rug outdoors. Thoughts? We never were able to shake our larger rugs outside (they were just to huge to do that) so we vacuumed them. Seemed to work well with the large 5 x 8 rug we had in our den (which got tons of “action” thanks to muddy dog paws and spilled drinks, but still looked good). Of course some rugs that are lower quality sort of break down after tons of use (we had one from Lowe’s that was too shed-y after almost 4 years so we got rid of it – it was only $70 and it lasted almost half a decade so we still thought it wasn’t a bad choice). Maybe try reading reviews or feeling the rug “in person” to see if you think it’s high quality? Good luck!